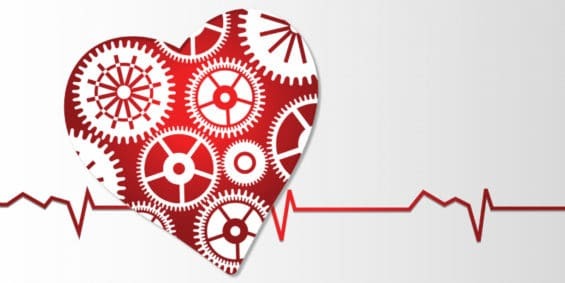 Chances are, you live a pretty healthy lifestyle. You eat right, hit the gym a few times a week, and try to take care of yourself. So, why should you worry whether there are harmful ingredients hiding in your food? Because even if the rest of your diet is flawless, one sneaky ingredient can wreak havoc on your metabolism and your health. I’m talking about glyphosate, also known by its commercial name of “Roundup.” If the name rings a bell, there’s a good chance you might just have a bottle sitting out in your garage. It’s the second most widely used weed killer in the United States, and it’s found on lawns and gardens across the globe (1). Shockingly, glyphosates aren’t just found on our lawns; they’re also found in our food. In fact, almost all of the cotton, soy, and corn grown in the United States are treated with this dangerous herbicide. It all started back in the 1970s. Glyphosate herbicide is incredibly effective at killing weeds, so it was originally used by farmers to prevent their growth. Then came the introduction of GMOs, or genetically modified organisms. Scientists started playing with the genetics of crops and found a way to make them resistant to the effects of roundup glyphosate. 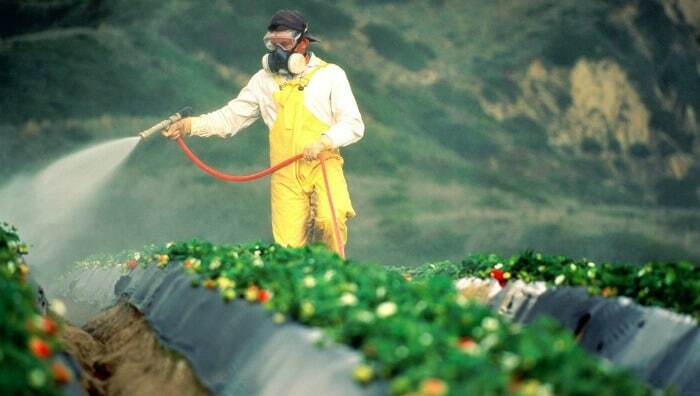 This allowed farmers to spray all of their crops with glyphosate instead of just selectively spraying crops. While this would have originally killed off their crop instantly, the introduction of GMOs made them immune to the deadly effects of glyphosate. Here’s where the problem comes in: 90 percent of our crops are sprayed with this poisonous ingredient, so it’s almost unavoidable in your diet. Not only that, but it penetrates deep into the plant and can’t be washed off. 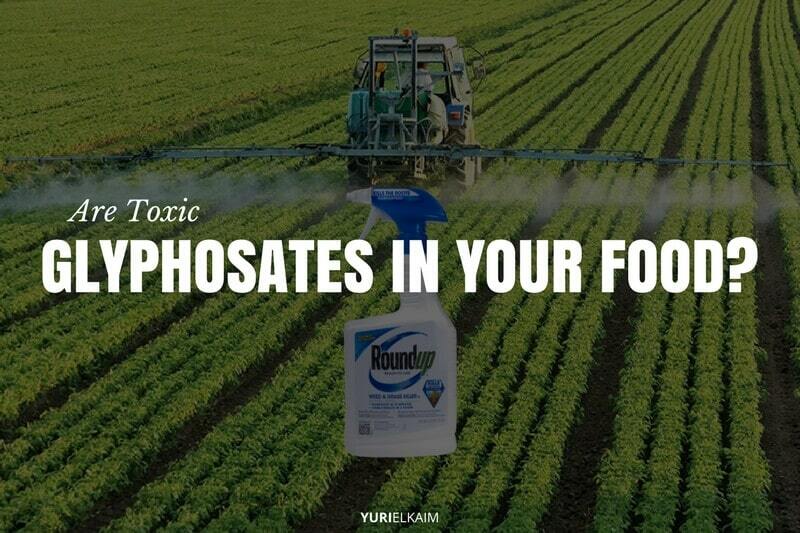 Worst of all, glyphosate toxicity can cause some serious consequences in your health. 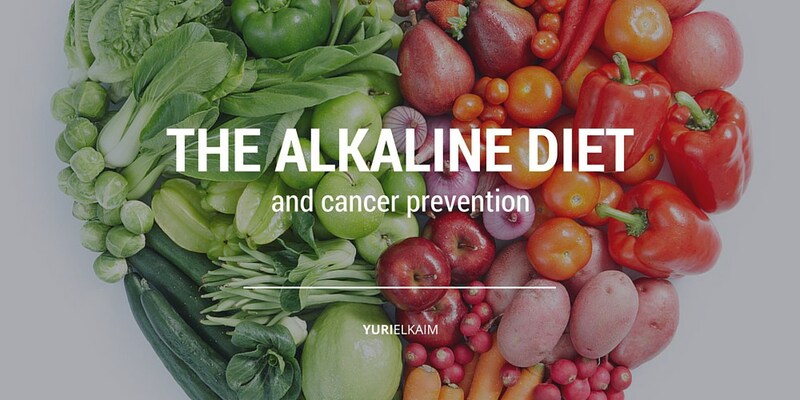 Luckily, there are ways to counteract the damage caused by this deadly chemical. But first, let’s take a look at exactly how it affects your health and what you can do about it. 1) They destroy our good gut bacteria. The way glyphosates work is by inhibiting the production of three types of amino acids (proteins) in plants, which causes them to die. The makers of Roundup like to tell us that this is exactly why it’s perfectly safe for humans – because it affects these pathways in plants and not humans. What they fail to mention, however, is that it does affect our good gut bacteria, which we depend on for everything from burning fat to improving digestion. Depleting our beneficial bacteria also opens the door for deadly pathogens, like Clostridium botulinum, which can be dangerous and even fatal. 2) They destroy your metabolism. By essentially killing off our beneficial gut bacteria, glyphosates have a major impact on our metabolism. 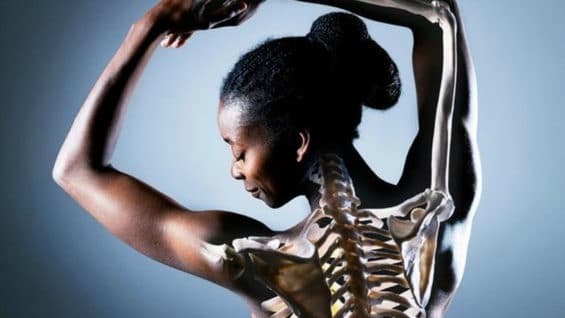 These helpful organisms found in our digestive tract are responsible for extracting nutrients from the foods that we consume, including the ones that keep our metabolism in check. When our gut bacteria aren’t able to do their job, it can take a real toll on metabolism, leading to weight gain and a decline in energy. 3) They can cause cancer. Several studies have linked glyphosates to cancer formation. 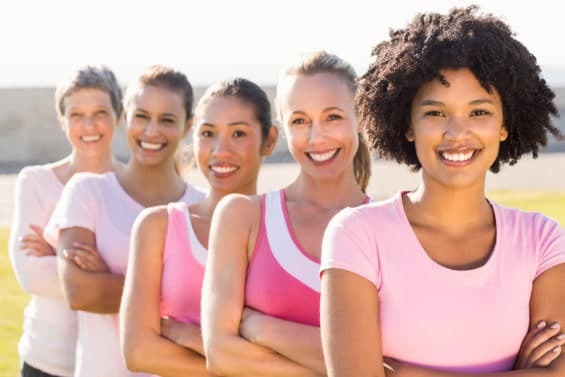 Specifically, it works by altering levels of hormones as well as estrogen receptors, spurring the growth of hormone-dependent breast cancer (2). Other research has found that glyphosates are functionally similar to estradiol, a powerful form of estrogen. Exposure even in small concentrations of this potent poison can have a carcinogenic effect (3). 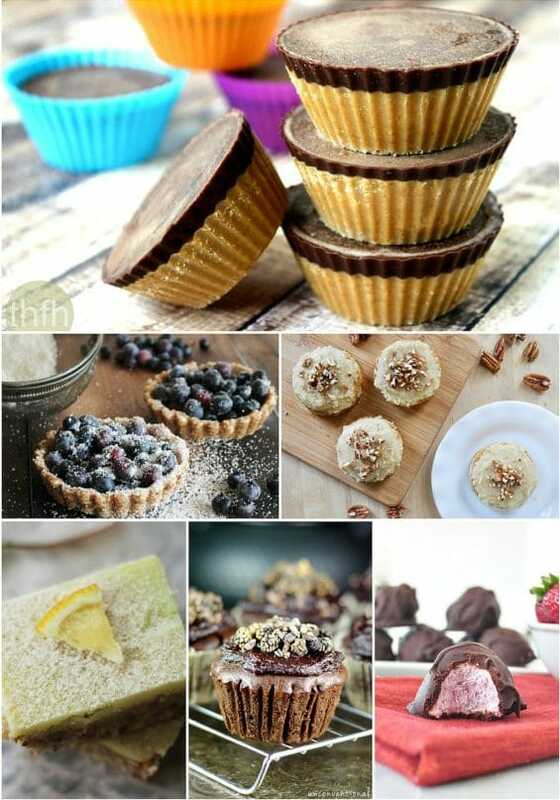 4) They increase fat storage. One of the major jobs of our gut bacteria is to help us use insulin efficiently. The less insulin we need, the less fat that gets stored. When the glyphosates destroy these beneficial organisms, we aren’t able to use insulin as effectively, which drives up fat storage (and our waistline). 5) They lead to chronic disease. Toxic glyphosates can damage our gut bacteria and open the door for harmful bacteria to form. 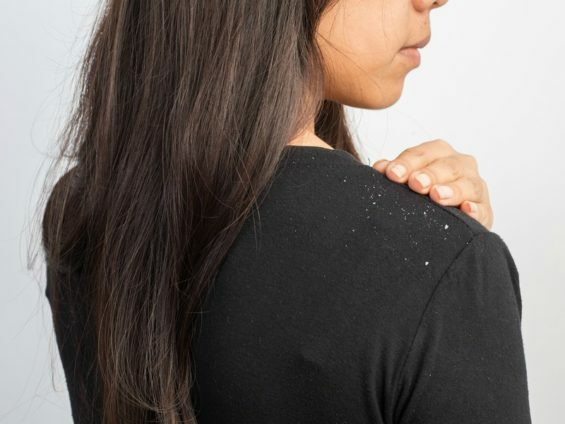 This can lead to the formation of dangerous substances, like formaldehyde, which trigger inflammation and lead to serious health problems down the line. Researchers are now putting two and two together, noting that rates of obesity and type 2 diabetes have been steadily rising, right alongside the use of glyphosates. They’re also linking its deadly effects to diseases like celiac disease and kidney failure (4). As I mentioned before, it’s almost impossible to avoid exposure to toxic glyphosates completely. They’re found in sprinkled throughout our food supply, so unless you’re growing your foods straight from your own garden, there’s a good chance you’ll be getting them in your diet. Just last year, 89 percent of all corn, 94 percent of soybeans, and 89 percent of cotton were found to be genetically modified to be herbicide-tolerant (5). Unfortunately, these products are virtually universal in our food supply – and sometimes in places you might not expect. Take corn, for example. Even if you’re not gnawing on some corn on the cob, you’ll find it in many other surprising products. Even commercially available fresh vegetables like carrots and broccoli use a corn-based processing aid known as ICEIN to prevent dehydration and oxidation while maintaining freshness (6). Meanwhile, artificial sweeteners and many other foods contain maltodextrin, a corn derivative, while tons of processed foods are pumped full of high fructose corn syrup. 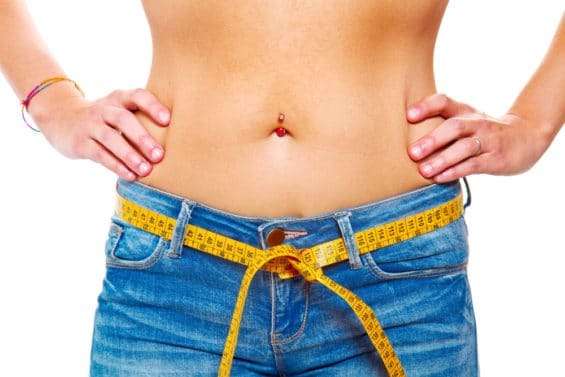 Instead of trying to completely cut all of these foods from your diet, you can help your body effectively eliminate it and reverse any potential negative effects by adding a few natural remedies to your regimen. This type of blue-green algae has some awesome detoxifying properties that can help keep your body clean and free of harmful chemicals. One recent study actually found that chlorella was able to help detoxify carcinogens by preventing their metabolism and absorption (7). 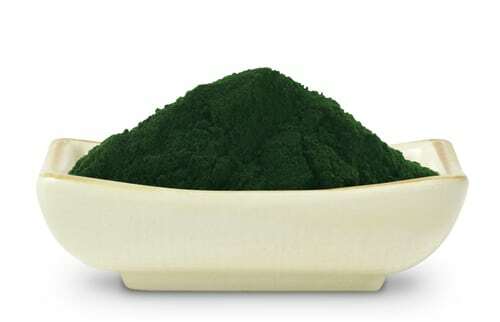 Chlorella is also awesome for boosting the amount of good bacteria in your gut, helping to undo any damage caused by glyphosates. 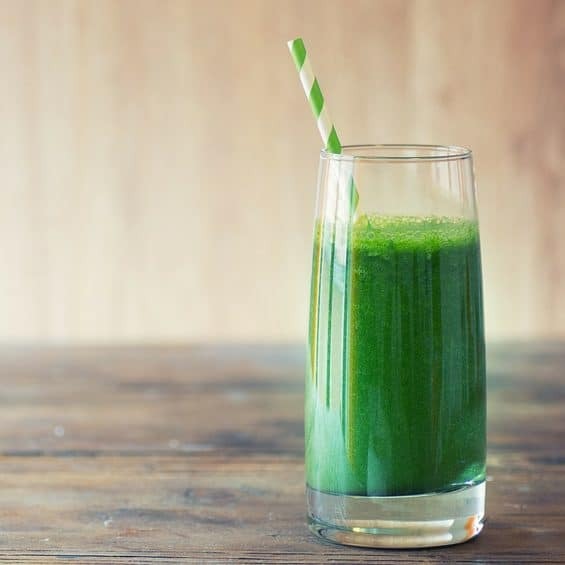 Chlorella supplementation can be taken with water, or it can be added to smoothies and green drinks for an energizing way to start your day. Also known as cilantro, this potent herb can help prevent harmful oxidative processes and reduce liver toxicity. One study exposed rats to thioacetamide, a harmful liver toxin that can cause serious damage including cirrhosis and tissue death. They fed half of the rats coriander leaves and seeds and astonishingly found that it was able to diminish and improve the negative effects caused by toxin exposure (8). 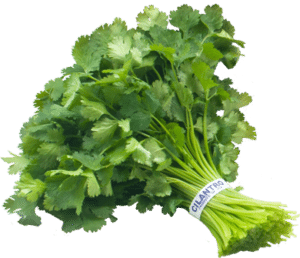 This ingredient can easily be incorporated into your cooking; cilantro can bring a refreshing zest to any recipe while a sprinkle of coriander seeds brings a warm, citrus flavor to Mediterranean and Indian dishes. This herb can help protect against cell damage and induce the excretion of toxins, making it especially useful in preventing the negative effects of glyphosates. 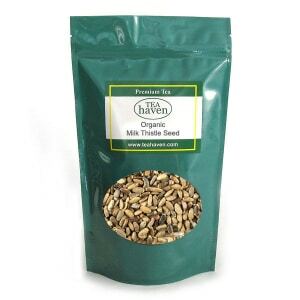 Milk thistle has been shown to be effective against long-term exposure to organic solvents. A 1988 study demonstrated that workers who had been exposed to industrial toxins for 5 to 20 years showed marked improvements in both liver function and platelet counts after being treated with milk thistle for 30 days (9). Most commonly available in tea form, drinking 1 to 3 cups per day can help detox your system and promote the elimination of glyphosates. We’ve all heard about the benefits of green tea, but did you know that green tea extract can help prevent some of the negative effects caused by glyphosate in food? It works by activating a special kind of fat called brown fat, which actually allows you to burn more calories even while at rest (10). 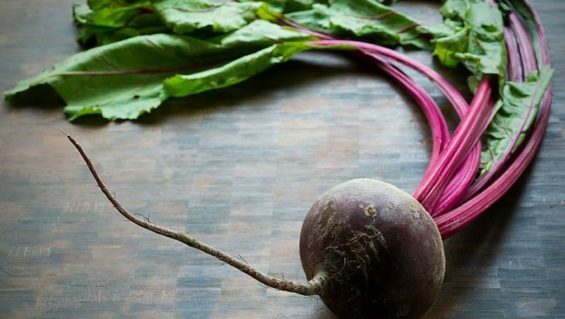 This can help negate some of those harmful side effects caused by glyphosates, keeping your metabolism going strong and revving up the fat burning. 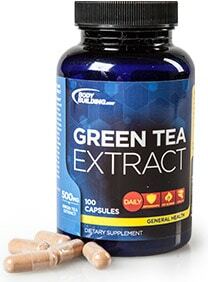 Supplementation of green tea extract is convenient and easy to find; take 600 mg daily to see the maximum effect. 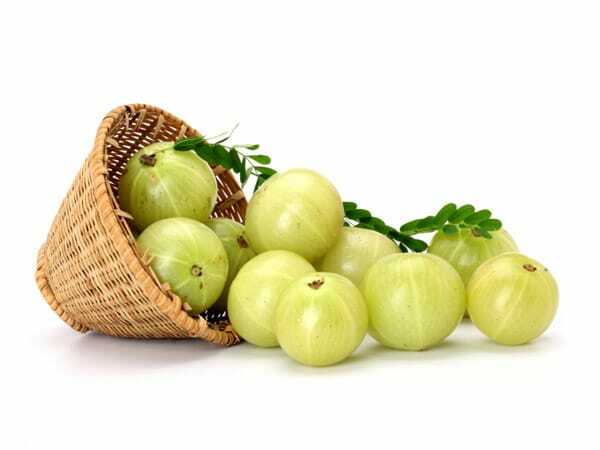 Better known as amla, this supplement is renowned for its detoxifying properties and protective effects on the liver. It’s full of antioxidants and phytochemicals that scavenge free radicals and prevent any cellular damage caused by toxins. It’s also been shown to be effective against the toxic effects of heavy metals, alcohol, and certain medications (11). Though amla is available as a juice or in whole fruit form, powder supplementation is the easiest and most convenient way to take it. 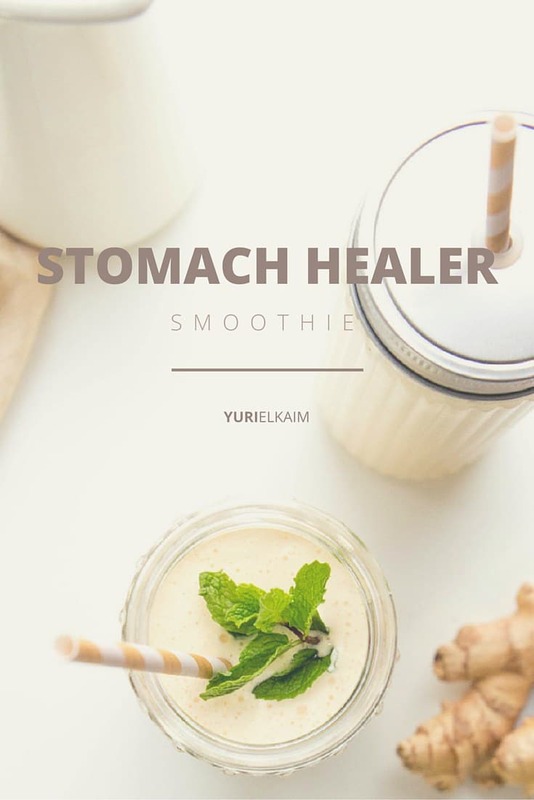 The suggested dosage is a teaspoon, which can be mixed into a superfood smoothie or stirred into a cup of water. 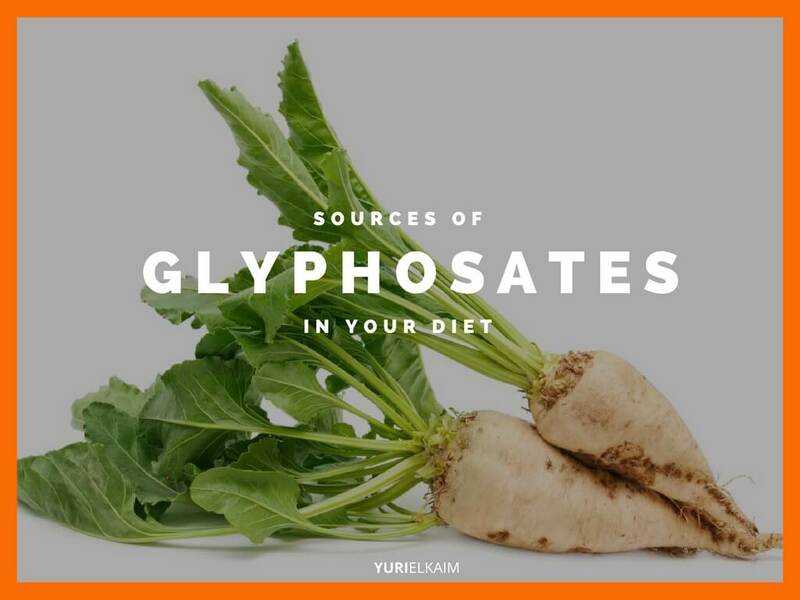 Glyphosate in food can be a big problem with serious consequences, but incorporating some of these healthy supplements and solutions into your regimen can mitigate and prevent the harmful effects. Although the consequences of ingesting harmful herbicides can be scary, a healthy lifestyle paired with some natural remedies can make all the difference. 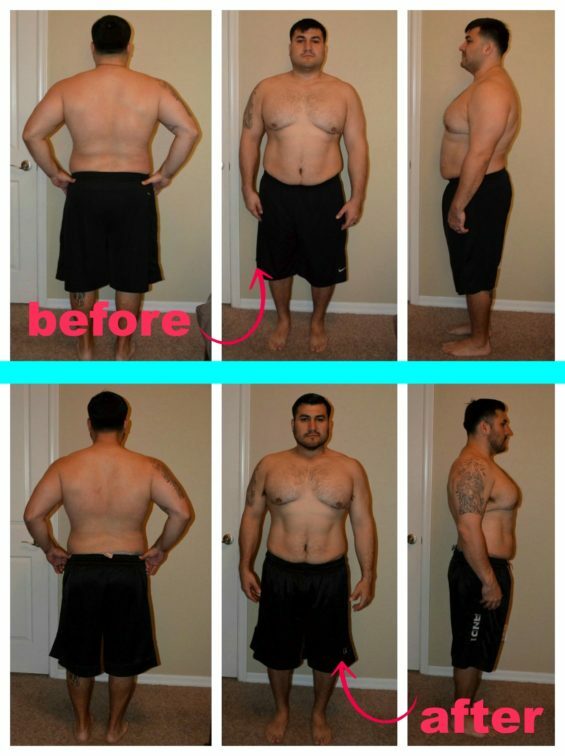 Want to help your body “cleanse” itself, while busting sugar cravings, restoring energy, and dropping belly bloat? It’s possible – and in just one day! Get my FREE 1-Day Detox, which features mouthwatering meals designed to make the most of your body’s natural internal detox process. You can get started right now by clicking the image below.